The third release from The Perth Mint’s innovative Orbit and Beyond Series celebrates the heroic accomplishment of Soviet cosmonaut Alexei Leonov, who became the first man to walk in space on 18 March 1965. 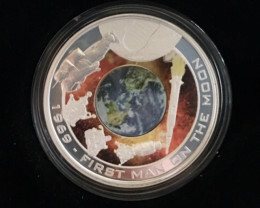 Exiting the Voskhod II capsule 500km above Earth, Leonov floated in space for more than 10 minutes before attempting to re-enter the airlock. 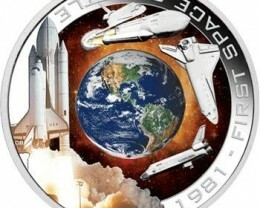 Alarmingly, his space suit had inflated, forcing the courageous cosmonaut to vent air before being able to squeeze back inside to rejoin compatriot Pavel Belyayev. 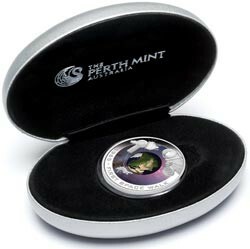 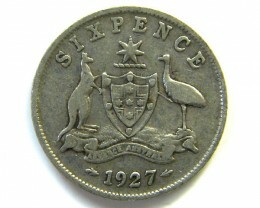 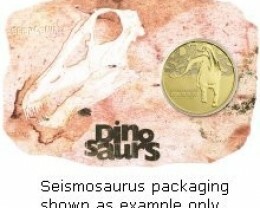 Struck by The Perth Mint, the coin comprises 1oz of 99.9% pure silver with a central core made of non-precious metal. 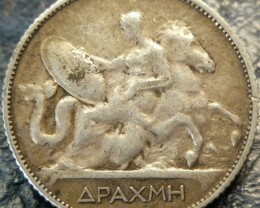 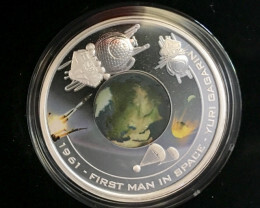 The coin’s reverse combines struck and coloured elements portraying a cosmonaut outside the orbiting Voskhod II capsule. 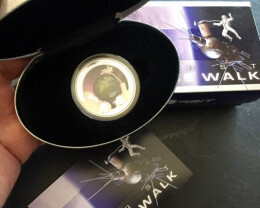 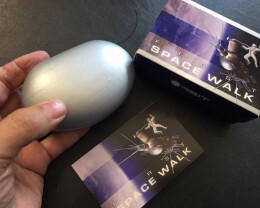 The design, which includes the inscription 1965 – FIRST SPACE WALK, ‘orbits’ around a coloured image of Earth. 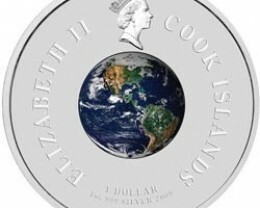 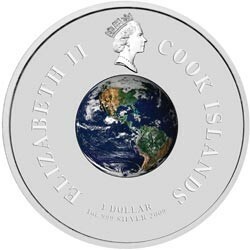 Issued as legal tender under the authority of the Government of the Cook Islands, the coin’s obverse depicts the Raphael Maklouf effigy of Her Majesty Queen Elizabeth II, the 2009 year-date and the monetary denomination surrounding another coloured image of the Earth. 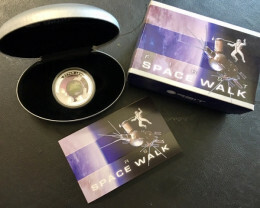 The Perth Mint will release no more than 25,000 ‘orbital’ coins celebrating Alexei Leonov’s first space walk. 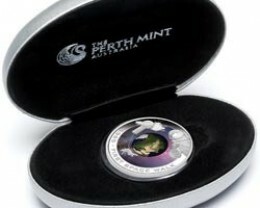 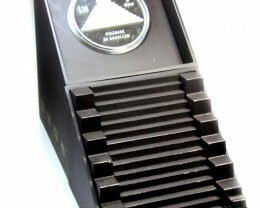 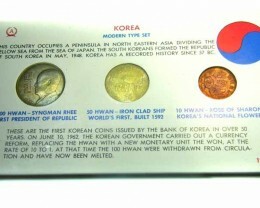 Each coin, which is protected by an acrylic capsule, is housed in an elliptical-shaped silver display case. 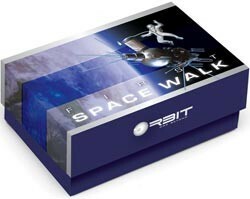 The case comes in a blue box shipper with a lid depicting the famous cosmonaut.